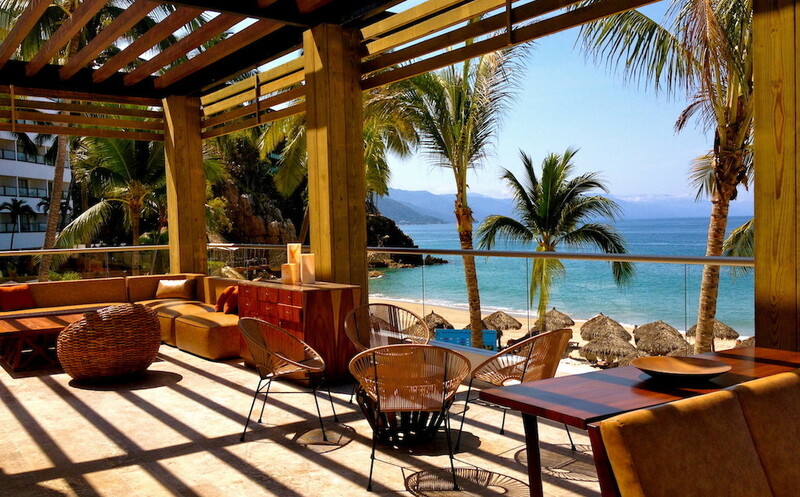 Email info@themexicoreport.com for featured hotel placement. Accommodations: Each of the 214 elegant rooms and luxurious suites at Sandos Cancun Luxury Resort lends dazzling views of the turquoise Caribbean Sea and the calming Nichupté Lagoon. Amenities: An expedition in tranquility. Bathe in the warm Caribbean sun while Spa del Mar awaits your arrival with luxurious body treatments and massages. Dining: The all-inclusive Total Gourmet Experience will awaken your taste buds with a variety of exquisite contemporary flavors and drinks at Sandos Cancun Luxury Resort. Accommodations: Sandos Playacar Beach Resort in Playa del Carmen has 819 rooms spread throughout four distinct sections, each flaunting its own unique Caribbean style and colorful experience. Amenities: For adventure-loving families and couples seeking romance at an all-inclusive resort in Playa del Carmen, Sandos Playacar’s activities deliver all-around fun. Dining: Indulge in mouth-watering cuisine at a dozen restaurants with the all-inclusive plan at Sandos Playacar Beach Resort. Accommodations: Escape to an array of beautifully appointed guestrooms stretching from the pristine white sand beach to the lush green jungles of the Riviera Maya. Amenities: Mayan cooking lessons, eco tours, shows and more every day of the week: an unforgettable Playa del Carmen all-inclusive experience at Sandos Caracol Eco Resort. Dining: Indulge in a buffet, à la carte and snack bar options in Riviera Maya, paradise of Playa del Carmen. Accommodations: All of the spacious guestrooms at Sandos Finisterra Los Cabos feature stunning views of the Pacific Ocean or the exciting marina on San Lucas Bay. Amenities: Poolside drinks, gourmet cuisine, activities, a gym overlooking the city, and unique spa in/alongside the cliff, all part of the Cabo San Lucas all-inclusive plan at Sandos Finisterra Los Cabos. Dining: A tempting selection of upscale à la carte restaurants, beachfront snacks, laid-back bars and the best breakfast overlooking the gorgeous bay. Plus don’t miss the cupcake bar. we visited the sandos los cabos in january and loved it. pictures simply can’t do it justice.